Arithmetic operators are used in mathematical expressions. Following are the arithmetic operators in java. Bit wise operators operates on individual bits of operands. 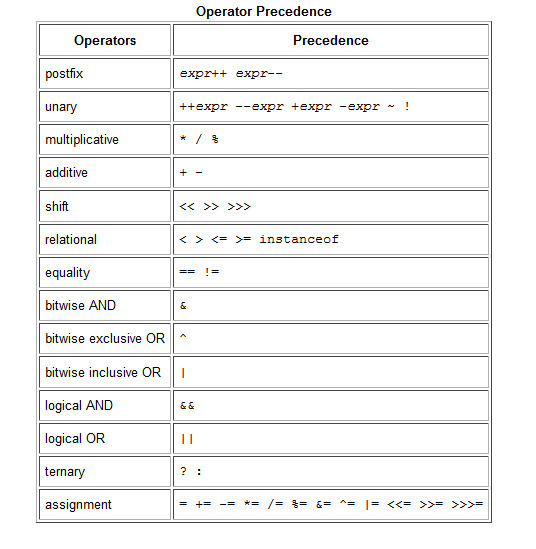 Following are the Bit-wise operators in java. Instance of operator is used to test whether that object is belong to that class type or not. If that object belongs to that class it returns true .otherwise it returns false. Instance of operator is also known as comparison operator.because it compares with the instance of type.